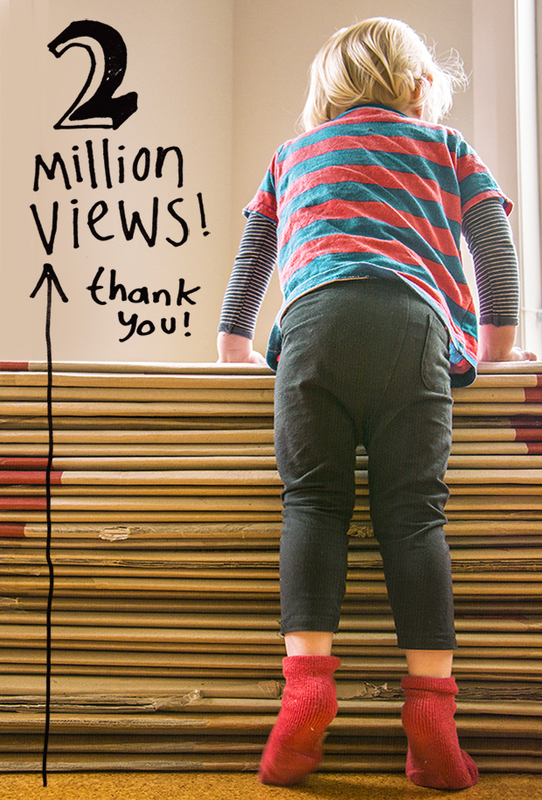 This week our blog passed 2 million views! Thank you all so much for your support! You people are great. Remember that you can also see our entire filmography and updates on Instagram! This entry was posted in Uncategorized by cardboardboxoffice. Bookmark the permalink. Congratulations on 2 million and counting – Whoohooo! Mazel Tov you guys. you are so creative.